ISBN 9790006400874. 12x9.5 inches. Text Language: German/English. 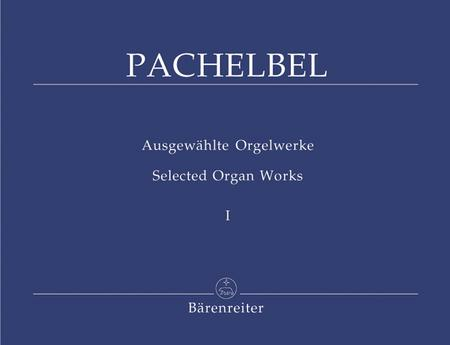 Preface: Karl Matthaei/Wolfgang Stockmeier. a little expensive but well worth it. Also it's a very good teaching tool which my teacher is using. February 05, 2018 Pachelbel and no urtext? may have everything to do with not having any autograph sources for his compositions. Either way, you’re getting a very good Barenreiter book that is sturdy and manufactured very well, however, with staples on this Book I. A job well done, Baerenreiter! This edition is filled with many selections that suit service playing or even a recital perfectly. The three fugues and fantasia are noteworthy in this volume, as are the toccatas. A splendid addition to any professional organist's library.